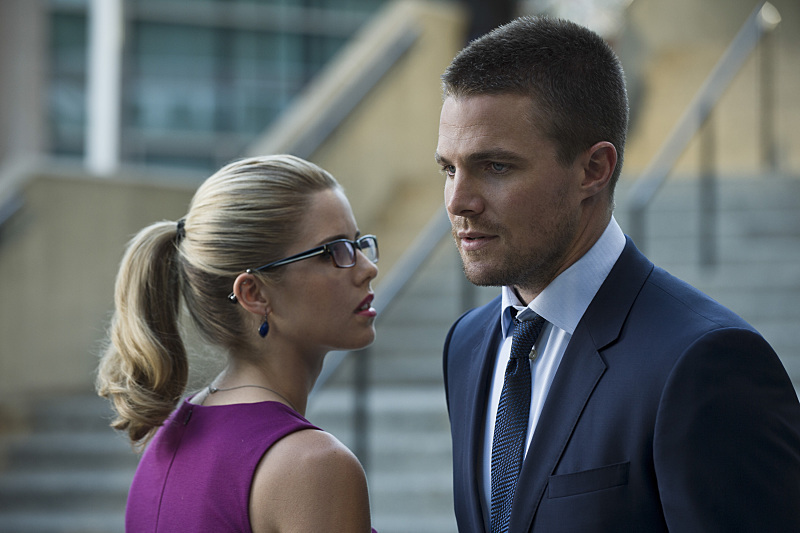 New fotos from the arrow Season 3 premiere. . HD Wallpaper and background images in the Stephen Amell & Emily Bett Rickards club tagged: photo. This Stephen Amell & Emily Bett Rickards photo contains traje de negocios and juego de negocio.